I won't take time to comment on these now as I'd really like to get back to bed for a couple hours' sleep...but here's some of the first images of Steins! 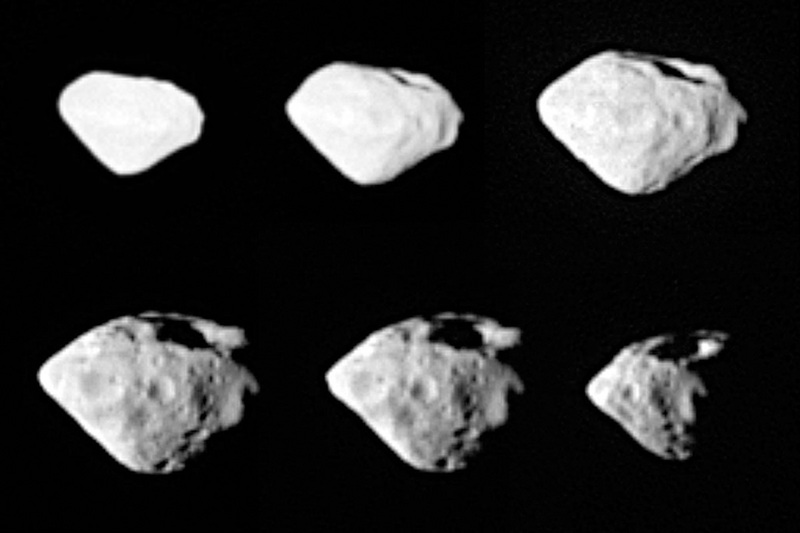 Some of the images captured by the OSIRIS wide-angle camera near the closest approach of the Rosetta spacecraft to Steins on September 5, 2008. Closest approach happened at 20:38:20 UTC, from a distance of 800 kilometers. The diameter of the asteroid was found to be slightly larger than predicted at 5.9 by 4.0 kilometers, and its albedo was about 35 percent. And here's a link to an AVI animation of the flyby. Neat!